The Way We Were stayed in first on its final week of airing with ratings consistently above 1.0%. Online views also reached 7 billion which puts it on par with Here to Heart when it ended and behind Negotiator which hit 10 billion views ahead of its finale. Despite some ups and downs in numbers, Love Won't Wait comes in second for the most part though it may be edged out by new competition with the premiere of Patriot starring Zhang Luyi and Tong Liya. Summer's Desire also welcomed its season finale. 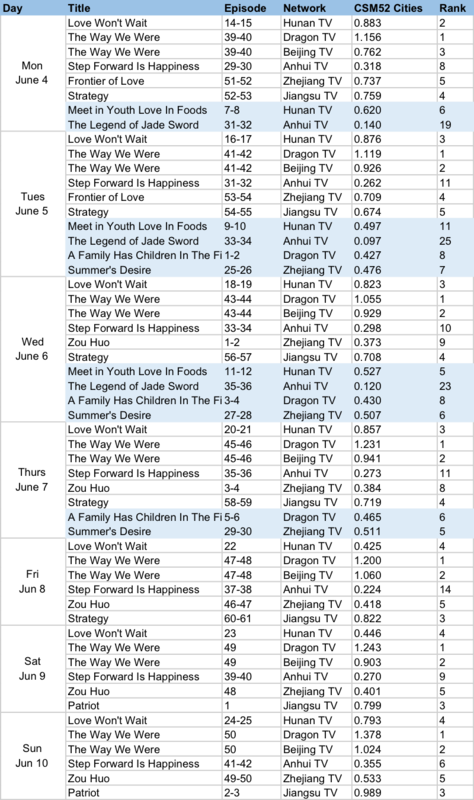 TV ratings for the show have been fairly consistent whereas online views managed to hit 1 billion before its finale, which puts the drama in eight based on web rankings. Deep in the Realm of Conscience is leading among the web dramas, placing only after the current leaders of primetime. Demon Catcher Zhong Kui rounds up the list in tenth. Thanks for the update. 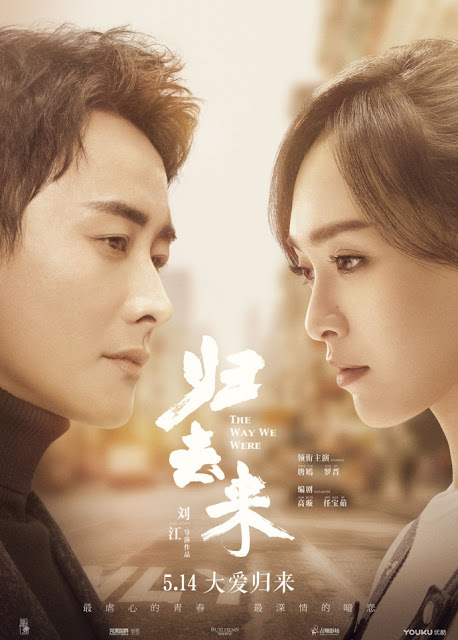 I haven't heard great things about The Way We Were but I have soft spot for Tang Yan and Luo Jin so I might still try it out.